View Another Attorney Willis, Kirk D. Talbot, Linda Clay, William J. Elder, J. Eric Gallegos, Adam C. Johnson, Tracy Liles, Todd J. Pettis, Amos D. Smith, Stewart Parish, Gary Don Tankersley, Camille M. Wright, Rob Ramos, Ashley P. Saleh, Jamie L. Atwell, Kimberly Goodhart, David Bowdich, John W.
Kirk D. Willis is a respected trial attorney and has a breadth of experience in products, construction, professional malpractice, and officer and director liability defense, having represented boat manufacturers, crane and hoist companies, construction contractors, brokers, and financial and non-profit institutions in litigation nationwide. He is board certified in Personal Injury Trial Law by the Texas Board of Legal Specialization. Kirk has tried more than 100 jury trials to verdict and established himself as a premier trial lawyer in his defense practice, which includes construction litigation, commercial disputes, medical malpractice, employment litigation and environmental litigation. Kirk’s experiences have led him to author two books "Corporate Justice: Fight Back In the Court Room and Save Your Company" and “Intellectual Property Law in the Sports and Entertainment Industry.” He has also utilized his knowledge to conduct numerous seminars on topics such as Wrongful Death, Survival Claims, Ethical Considerations for Adjusters, Construction: Contract Termination and Subcontractors, Bad Faith, What Juries Really Think, Appropriate Use of Expert Witnesses, and many more. Kirk is a Martindale Hubbell AV Preeminent-rated attorney and has been selected as a Texas Super Lawyer by Thomson Reuters (2003-2010, 2014-2015). This list is published in Texas Monthly, as well as the stand-alone Texas Super Lawyers magazine. 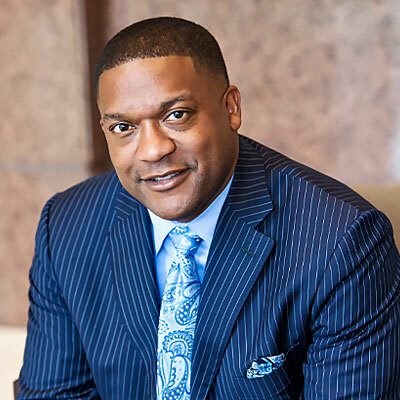 Under Kirk’s leadership as Managing Partner, his former firm was recognized as the “Construction Law Firm of the Year in Texas” in 2010 and “Insurance & Reinsurance Law Firm of the Year in Texas” in 2011 by Corporate INTL magazine. His experience leading a firm includes serving as Section Head of the Civil Defense section of a major Texas litigation firm. Kirk also was on the Executive Committee of a 250-man statewide litigation firm. Defended companies against claims involving hazardous waste and dumping allegations. Anticipating a Vioxx defense strategy: Will Corporate Honesty Be Enough? Recognized as a Texas Super Lawyer by Thomson Reuters as published in Texas Monthly magazine (2003 - 2010, 2014-2015). Recognized as a Best Lawyer in Dallas by D Magazine (2014 - 2016) as published in the magazine's May 2014, 2015 and 2016 issues. Insurance & Reinsurance Law Firm of the Year in Texas, 2011, Corporate INTL magazine. Construction Law Firm of 2010, Corporate INTL magazine.